Well, the Superhero dress created from a duvet cover was such a success, that it seemed an obvious choice of fabric for World Book Day dressing up at school. I walked along the aisles at Asda deciding which duvet was most suitable when BM (Blog Manager) spotted a Mr Men one…PERFECT ! I used my trusted pattern….New Look 6145 without a collar. I did cut the neckline slightly higher when I was cutting out the fabric. 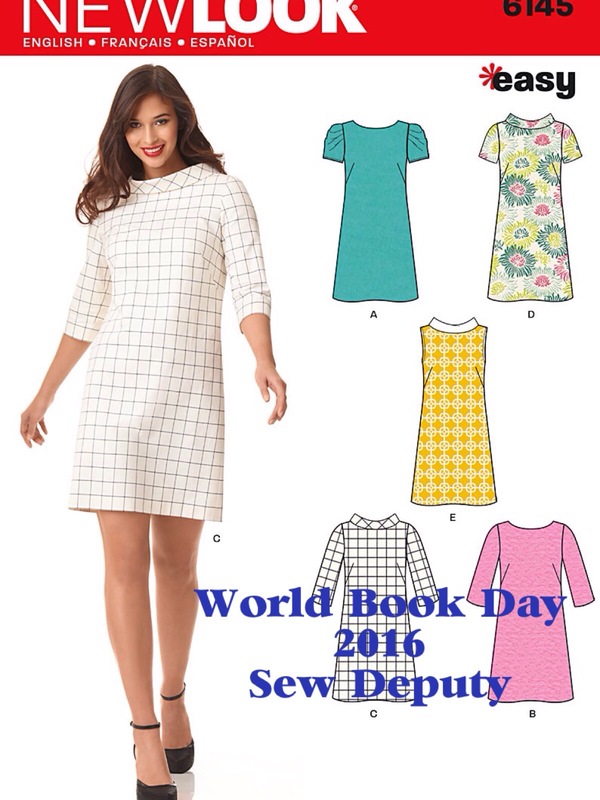 It has a 7″ side zip and bias binding around the neck and sleeves. 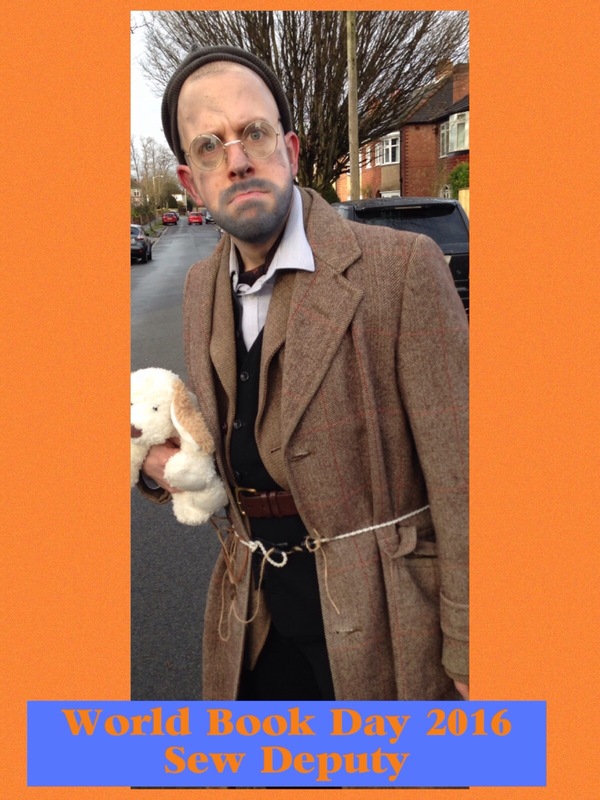 Mr Stink came along for our World Book Day walk to school. Here he is in all his glory! 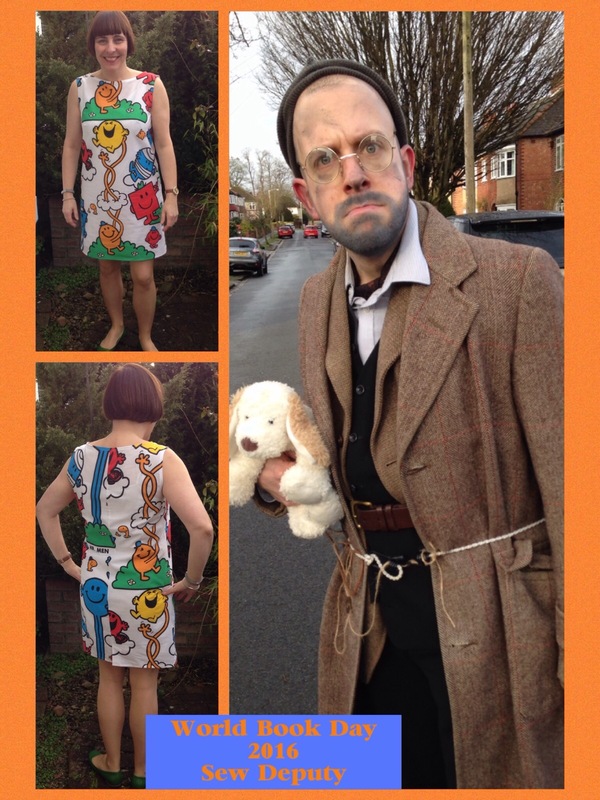 I had a funny walk across our playground with Mr Stink……..a few parents commented on how much they loved my dress as they passed by and never gave him a second glance!!!! I’m not sure what that says really! Any teachers out there……he is the best visitor in school we have ever had. We laugh all day long and he does a variety of characters. 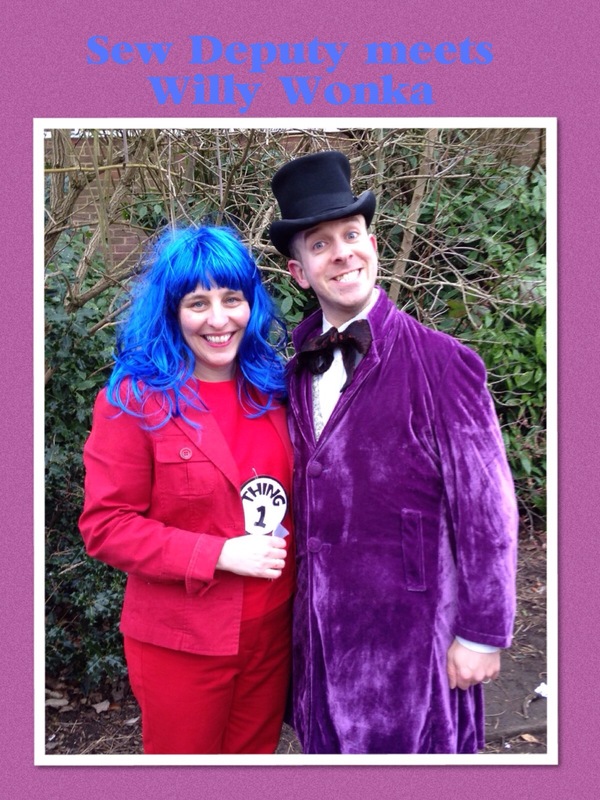 Last year it was Willy Wonka -here he is! It totally did not pattern match at the back due to a shortage of fabric…..the reverse of the duvet was a completely different design. I work alongside another Deputyhead , we are double trouble and so she had to be in theme! We had a fabulous day in school and we were amazed at the costumes everyone was wearing. They get better every year. 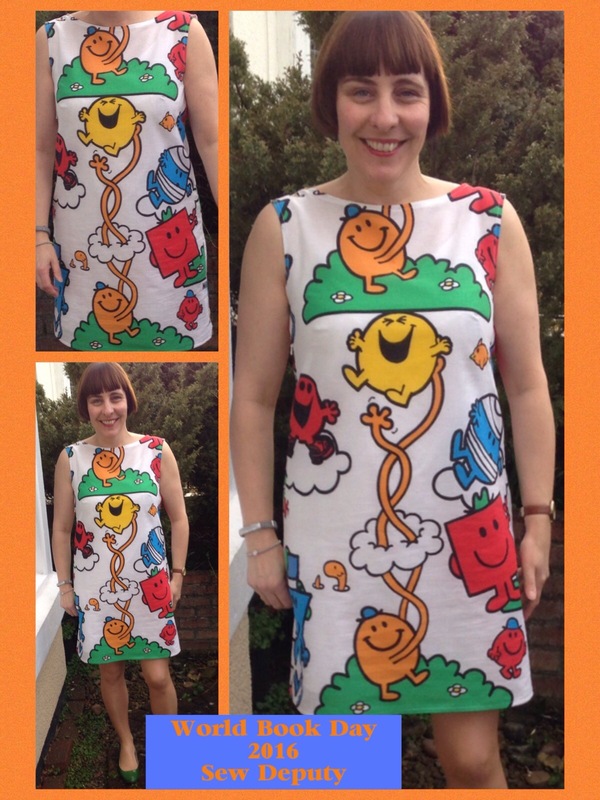 As for my dress…….one of the teachers loved it so much , I took it home, washed it and delivered it back as a gift! She is going to wear it even when it is not World Book Day!! It does mean of course I need a new one for 2017!!!! Wonky Factor: 8/10 for the mis matched back, but it was supposed to be different! When else would you walk around with Mr Tickle around your neck? You have got me thinking for next year…..a really great idea. Good to plan ahead… There might be a suitable one in a sale sometime!! What a fabulous idea to use the duvet cover – love it! Excellent dress, I’d wear it to work, if I could! ! Sadly, I think in my boring office it would be frowned on, but we always make a costume together with my son. 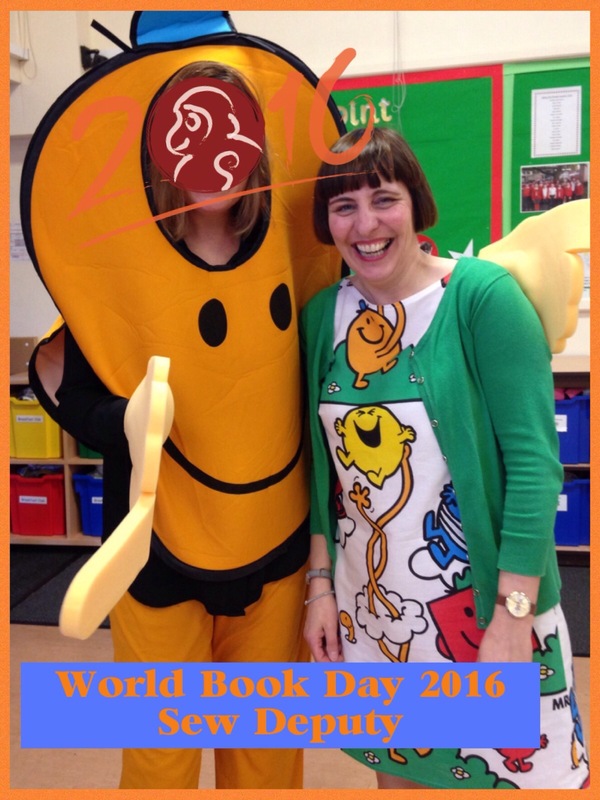 Love World Book Day! Ha! You could always start a trend! One of my colleagues asked for it!! Ha! Thanks Camilla! 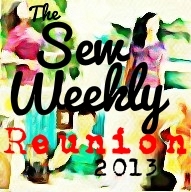 Hope you’re planning one for next year!! 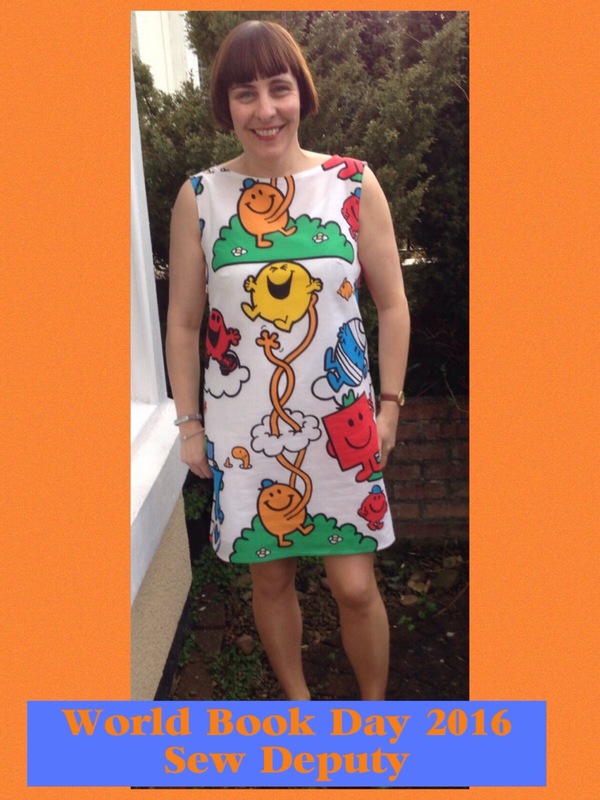 Being a big fan of the Mr. Men and Little Miss, this has to be my favourite! Ummm, i was called a Cheerful Chatterbox in my school report! You are definitely Little Miss Naughty!!! Hahahah! If you can’t be good, be good at being naughty!! I absolutely love the dress!!!!!! !